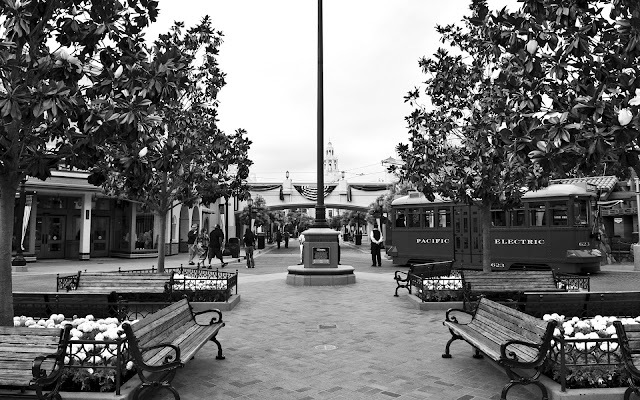 Some of my favorite moments at the Disneyland Resort are during off hours, when the park is calm and quiet, and most people have either left the park or have not yet come in. This is a wonderful time to take in the atmosphere and really savor the beauty that Disney parks offer. It's a time to admire little details and not get caught up in the bustling crowds that normally occupy the parks during the day. 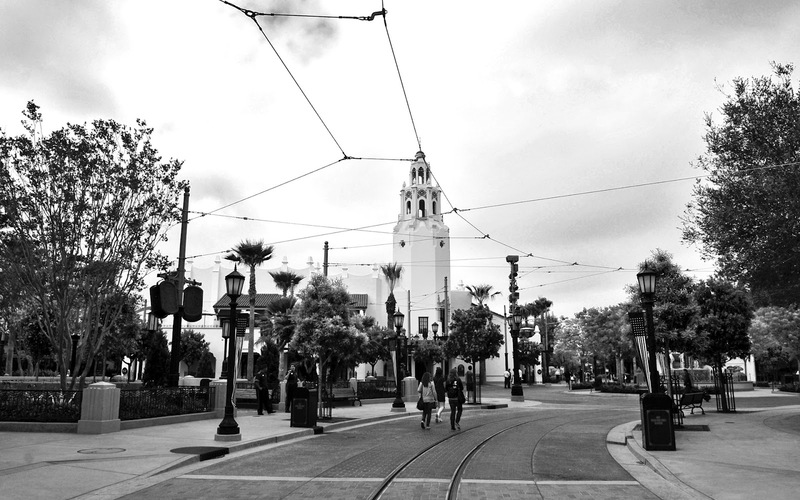 Looking up Buena Vista Street from the entrance gates. As I walked up Buena Vista Street yesterday before official park opening (thanks to Annual Passholder early admission), I couldn't help but think what a great setting the Disney Imagineers had crafted. There may not have been a reality where such a serene, 1920s Los Angeles existed with such exquisite architecture and streetscapes, but the romanticism this captured could not be denied. I love venturing up and down Buena Vista Street when it's hustling and bustling, because such energy never really existed in this area before DCA 2.0. But the serenity of this early morning brought its own sense of absolute satisfaction. 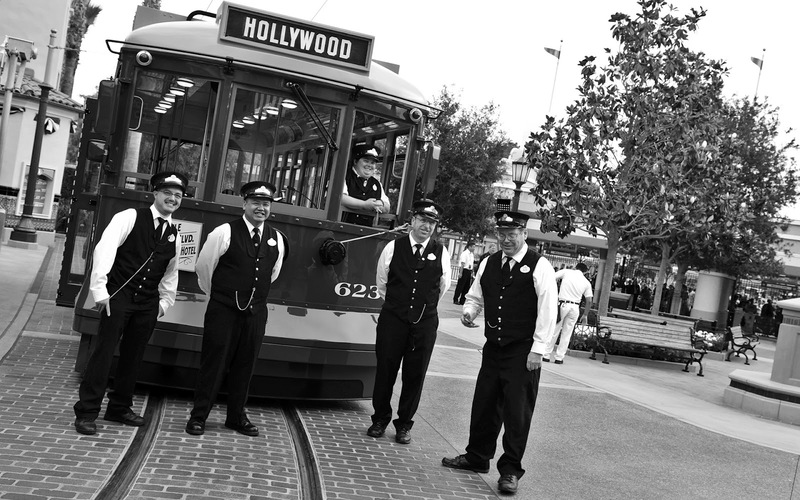 Red Car Trolley drivers posing in front of Car 623 in the early morning. One of my favorite Walt Disney photographs features him taking a leisurely stroll through the castle, one early morning in Disneyland, absorbing everything around him. It's not hard to imagine him doing the same here, if he had ever had the chance. An early morning stroll toward Carthay Circle, and its new icon.